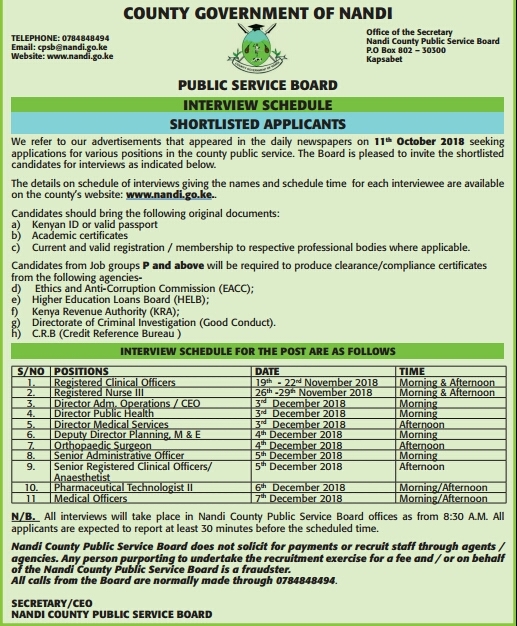 We refer to our advertisement that appeared in the daily newspapers on 11th October 2018 seeking applications for various positions in the County Public Service. The Board is pleased to invite the shortlisted candidates for interviews as indicated here. We wish all the candidates the best as they prepare for the interviews.